Honeycomb is the most natural way to enjoy the benefits of our honey bee’s work. Both the beeswax and honey have unique healthy properties and taste GREAT. 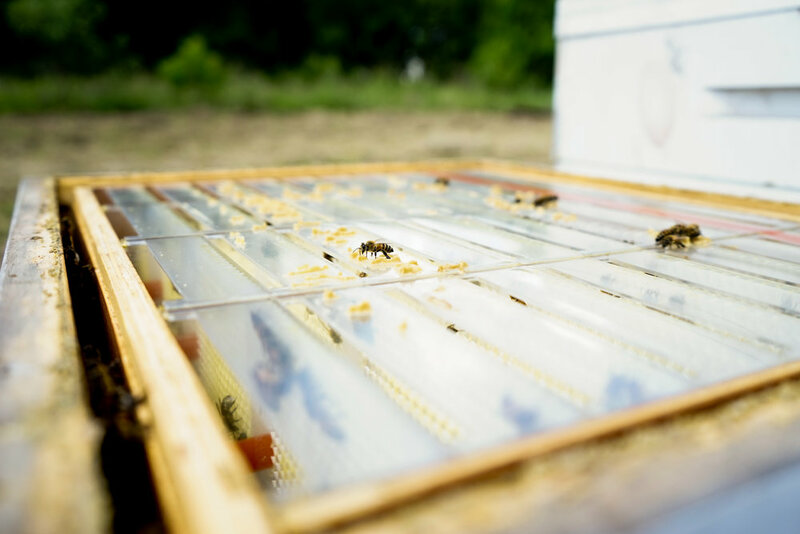 Here at HIVE Bee Farm we minimize the impact we have on the process by allowing our honey bees to build their amazing honeycomb directly into the Honey Square you take home to enjoy. This unique process is from ‘hive to hand’. No processing or handling needed. You get it straight from the source. We utilize a special hive box that incorporates the small boxes into the hive. The honey bees fill them with honeycomb and honey. When they are filled and capped with wax we remove them from the hive and snap a lid on top. This provides you with the highest quality honeycomb and doesn’t require any human processing. Straight from our hives to your hand! Use caution if allergic to stinging insects. Do not feed to infants. Store flat unrefrigerated. Spread like butter or click here to view some recipe ideas. Please contact Hive Bee Farm at contact@hivebeefarm.com on orders of 12+ honey squares for shipping inquiries.